What's Up!!? Today I have a collection by Zoya called,"Summer 2014 Bubbly".This collection is full of holographic glitter and packed with shimmer.This collection is now available to purchase at the Zoya website. Lets take a look below at these 6 super shiny colors! 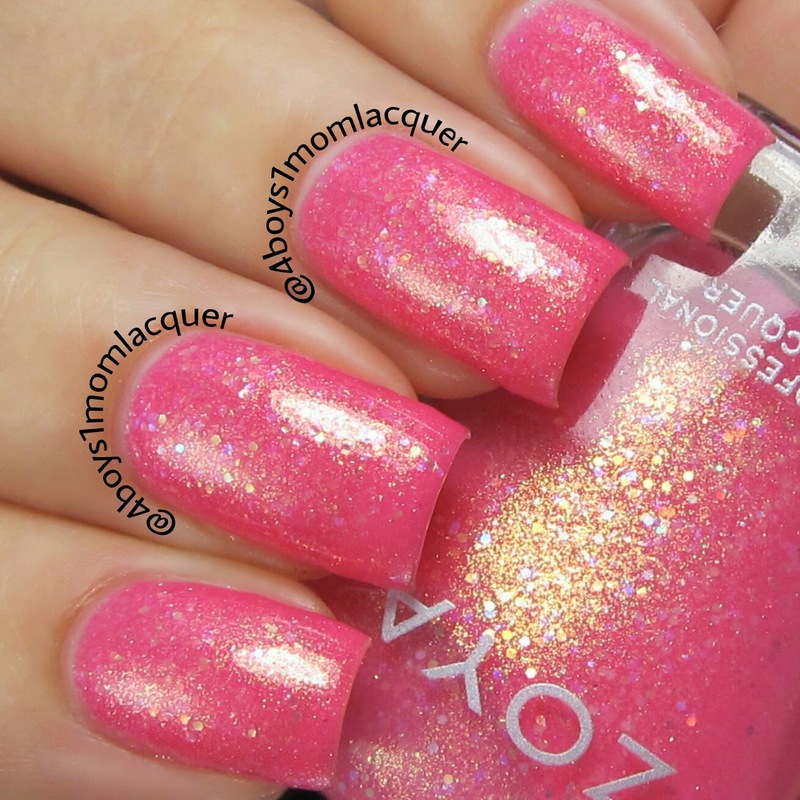 This is a bubblegum pink jelly polish with holographic shimmer and glitter. I applied 3 light coats followed by a top coat.I did think this polish was a tad sheer. I felt I had to apply 3 coats to make it opaque.No biggie,it's still a pretty color! 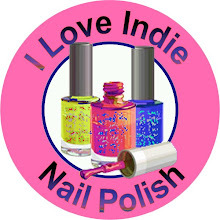 This is a raspberry blue jelly polish with holographic glitter and a touch of golden shimmer. I applied 3 light coats and a top coat.I also found this polish to be a tad sheer. This is a grassy green jelly polish with a golden glaze and holographic glitter. With this color I had to add more coats than the others.I applied 4 light coats and a top coat. 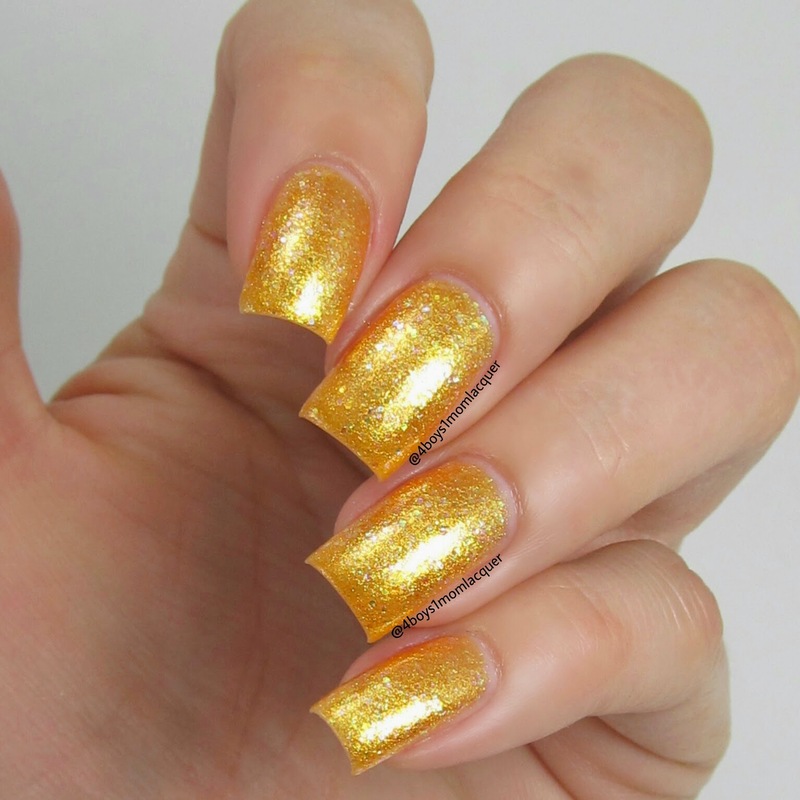 This is a golden peach jelly polish packed with holographic glitter and shimmer. I applied 4 light coats and a top coat.This polish sheer but because the formula is not on the thick side it's build-able. This is a beautiful orchid purple jelly polish packed with holo sparkles and gold metallic shimmer. I applied 3 light coats and a top coat.This color is actually my favorite in this collection. 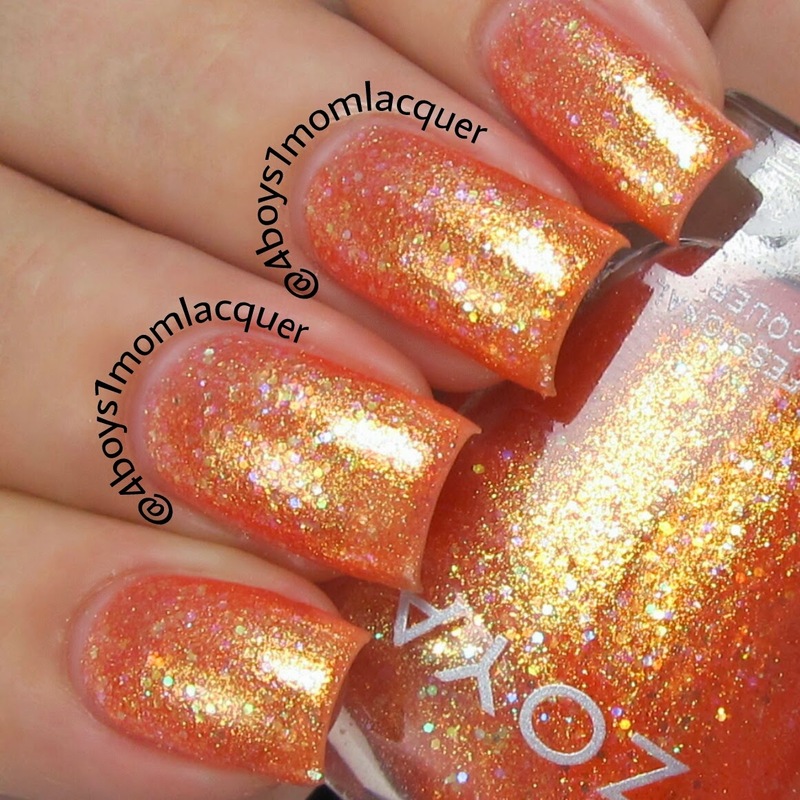 This is an orange jelly polish packed with holographic glitter and metallic gold shimmer. I applied 3 light coats followed by a top coat. Now...I am not to fond of this color.The color orange always makes my skin look SO yellow.It certainly dose not look flattering on me. I like the color of the actual nail polish but just not on me. There you have it,the whole Zoya Bubbly collection! !What colors do you like?I really liked Binx,Muse and Staasi. This collection is now available for purchase.These polishes coat $9 a piece plus your shipping.For the whole collection it will cost you around $54+shipping. For more information on future collections and sales be sure to check out Zoya's media sites.I have posted links for you below.